Metropolis is a fictional American city-state that appears in comic books published by DC Comics and is thought to be a reference to New York City. 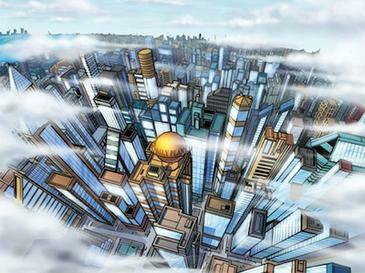 Metropolis is the home of Superman and first appeared by name in Action Comics #16 (September 1939). 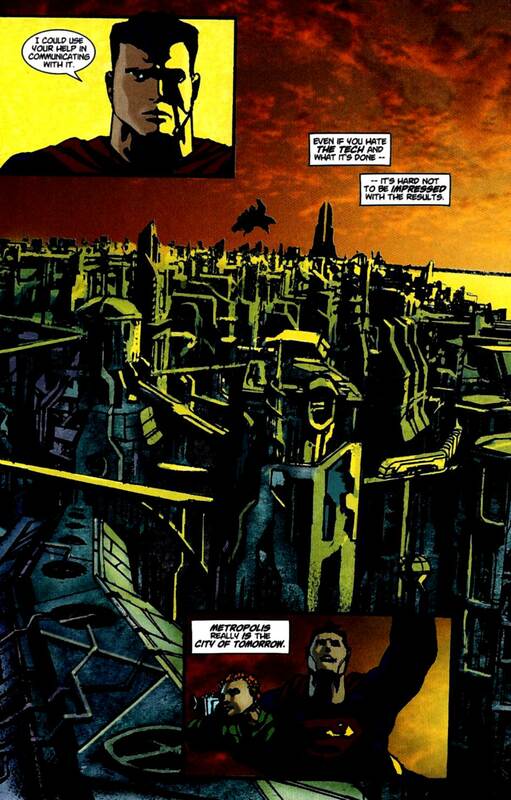 Within the DC Universe, Metropolis is portrayed as one of the largest and wealthiest cities on Earth, having a population of nearly 11 million citizens. It is referred to as "The Big Apricot," just as New York City is nicknamed "The Big Apple." The co-creator and original artist of Superman, Joe Shuster, modeled the Metropolis skyline after Toronto, where he was born and lived until he was ten. Since then, however, most of the notable landmarks in Metropolis are based on real-life landmarks in New York City. Metropolis is one of the largest and most well-known cities in the United States, owing largely to the fact that it is the adopted home town of Metropolis' favorite son, Superman. The history of Metropolis stretches back to the year 1542 when Italian navigator Vincenzo Gnanatti discovered the region while in the employ of the Dutch. Prior to European colonization, the region was occupied by the Algonquin Native American tribe. It wasn't until 1634 however that the first settlement was established by Dutchman Paul De Vries. The settlement was named De Vries Village and occupies the neighborhood now known as "Old City" in the Eastern section of Queensland Park. Throughout the 17th and 18th centuries, De Vries Village prospered as a thriving seaport and it became an integral strategic location for General George Washington's army during the Revolutionary War. In 1905 Hunter City became home to noted adventurer, inventor and science hero Waldo Glenmorgan. Glenmorgan began a trend of scientific prowess which culminated in the city changing its name to "Metropolis". This name change propelled the city towards its current position as the City of Tomorrow. Metropolis is made up of six boroughs, the largest being New Troy. Each of the boroughs has its own distinct character and feel, which resemble and mimic New York City's boroughs. "New Troy" redirects here. For Alexandre Dumas's novel, see The New Troy. For the community in the United States, see New Troy, Michigan. New Troy is the largest borough in Metropolis. Resembling Manhattan, New Troy is a skyscraper island bustling with commerce and business. The concrete and steel canyons of the city rise to dizzying heights. "1930s architecture stretched like a rubber band" as cited in the Art of Superman Returns book. The Daily Planet Building is the most recognizable landmark in the Metropolis skyline, much like the Empire State Building for New York City. 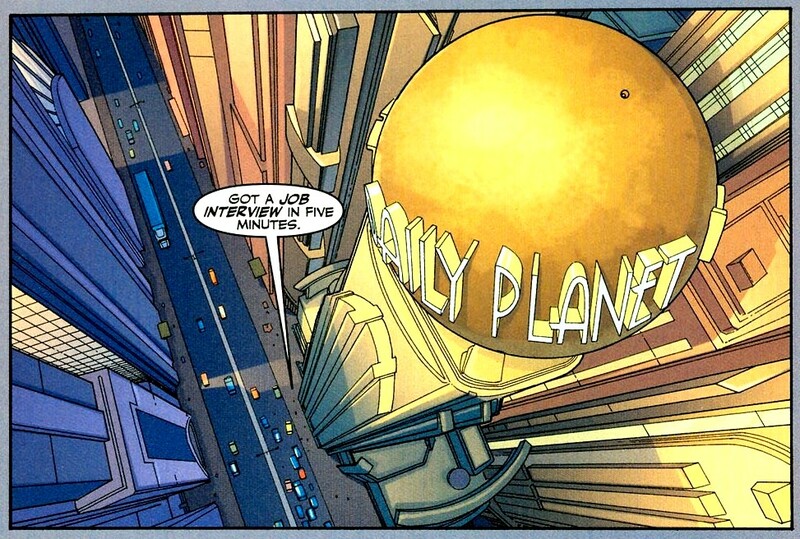 Located in "Planet Square," it is particularly known for the Daily Planet globe atop the building. 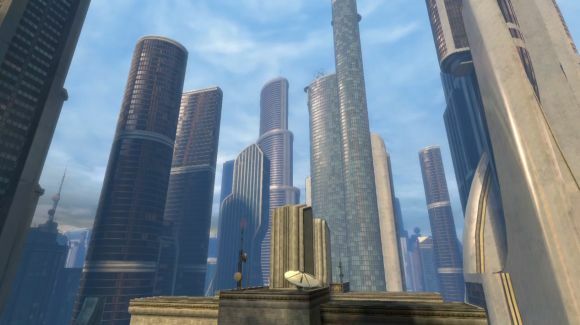 Other prominent skyscrapers include the Emperor Building (a reference to the Empire State Building), the Newstime Building (home of the national Newstime magazine, a reference to and combination of Newsweek and Time) which is secretly owned for several years by Lord Satanus posing as "Colin Thornton," and the Twin Towered LexCorp Tower, (a reference to the former twin towers of the World Trade Center), headquarters for Lex Luthor's company. Chinatown - Metropolis' Asian District. Little Bohemia - The arts capital of Metropolis and a reference to Little Italy in Manhattan. Glenmorgan Square - An area that is based on Times Square. Famous streets in New Troy include Fifth Avenue, Bessolo Boulevard, and Topaz Lane. The latter two are Metropolis' versions of Broadway in New York City. Bessolo Boulevard's name is derived from Adventures of Superman lead actor George Reeves's legal name before entering films. Other Metropolis boulevards in the New Troy borough are similarly named for other actors from that series and from its radio predecessor of the same name, such as Coates, Larson, and Collyer. Centennial Park (sometimes labeled as Metropolis Park) is Metropolis' largest city park and is based on real life Central Park of New York City. Its most noteworthy feature is a statue of Superman with an American bald eagle erected after his apparent death fighting Doomsday. 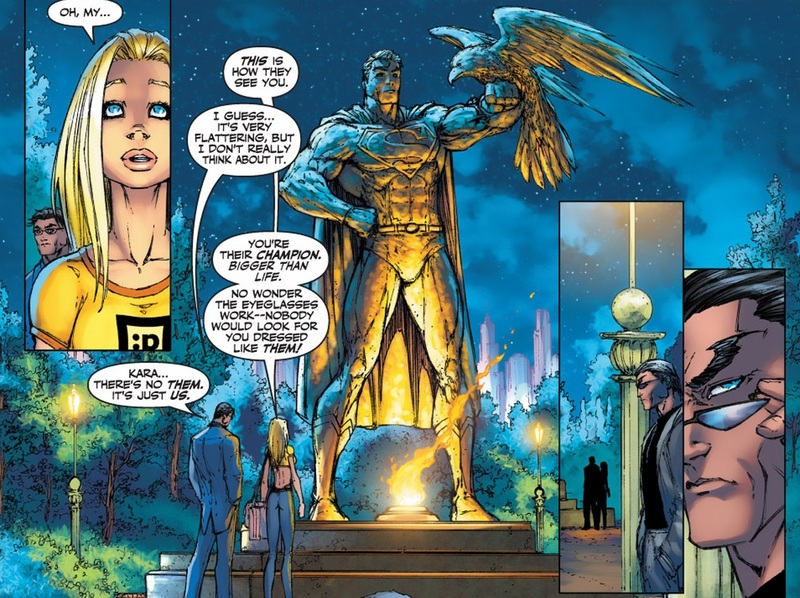 A statue of Superboy Conner Kent was built next to it after the events of Infinite Crisis. Wireless City Movie Theater - A spoof of Radio City Music Hall. Halldorf Hotel - A spoof of Waldorf Astoria. Lacey's Department Store - A spoof of Macy's. Spiffany's Jewelry Store - A spoof of Tiffany's. In northwestern New Troy is the impoverished and crime-infested neighborhood of Suicide Slum, best known for the 1940s adventures of the Guardian and his street urchin companions the Newsboy Legion. Although the northwestern location is similar to the relationship of Harlem to midtown Manhattan, the neighborhood bears more physical and cultural resemblance to Manhattan's Lower East Side. The Ace o' Clubs is a bar owned by Bibbo Bibbowski in Suicide Slum. 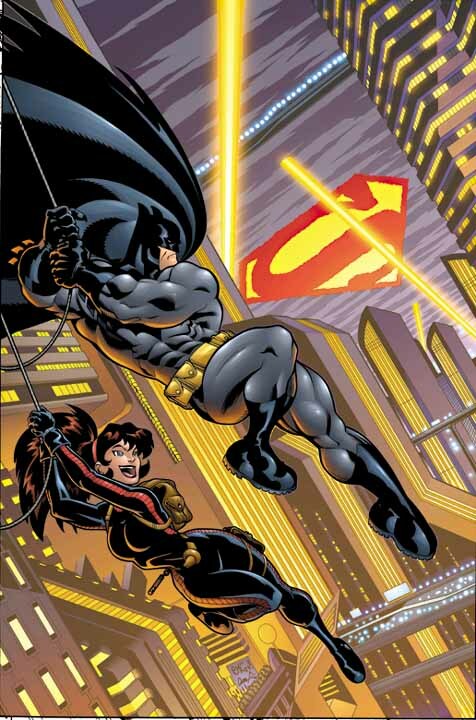 In 1990s and 2000s stories, the married Clark Kent and Lois Lane live in an apartment in New Troy, at 1938 Sullivan Lane, which is a tribute to the year Superman first appeared. The apartment was a wedding gift to the couple by Bruce Wayne, who owned the building. 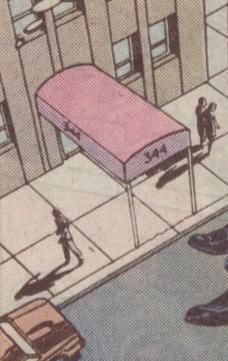 Clark Kent's traditional address of 344 Clinton Street, Apartment 3D, was usually described as being located in midtown Metropolis. New Troy is separated from the suburban boroughs by the West River and Hobb's River, based on New York's East River and Hudson River, respectively. 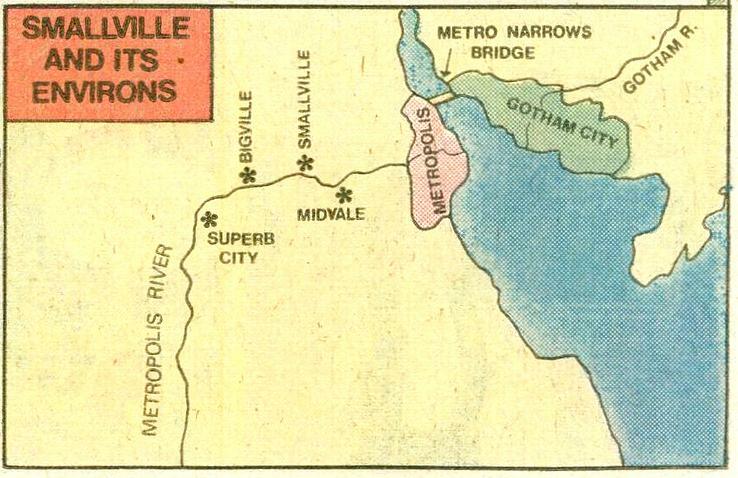 Midvale - Midvale is a suburb of Metropolis, more well known as the home of Supergirl and the site of the Midvale Orphanage prior to the events of Crisis on Infinite Earths. Bakerline - Midvale is another borough of Metropolis. Located north of New Troy, Bakerline is the home of newspaper reporter Jimmy Olsen and appears to be based on The Bronx in New York City. Other boroughs and suburban areas, almost all of which are based on real places in New York City, include Queensland Park (a reference to Queens), Hell's Gate (a reference to Hell Gate Bridge), St. Martin's Island (a reference to Staten Island), Park Ridge (a reference to Park Slope), Metrodale, and Highville. Metropolis has had many pro and amateur sports teams, treated with little continuity. The following is a list of super-heroes known to have either lived and/or operated out of Metropolis at some point in their lives. This list includes characters who are germain to both Pre-Crisis and Post-Crisis versions of Metropolis. The following is a list of super-villains known to have either lived and/or operated out of Metropolis at some point in their lives. This list includes characters who are germain to both Pre-Crisis and Post-Crisis versions of Metropolis. The following is a list of civilians known to have either lived and/or operated out of Metropolis at some point in their lives. This list includes characters who are germain to both Pre-Crisis and Post-Crisis versions of Metropolis. For a long time, the exact location of Metropolis in the United States was not canonically established. In the Golden Age era, Superman was first based out of Cleveland, Ohio and worked for a Cleveland newspaper. In subsequent appearances, this locale was retroactively established as Metropolis. During the Silver Age era, Metropolis was depicted as a coastal city on the Eastern seaboard, though sometimes it was shown to be further inland. 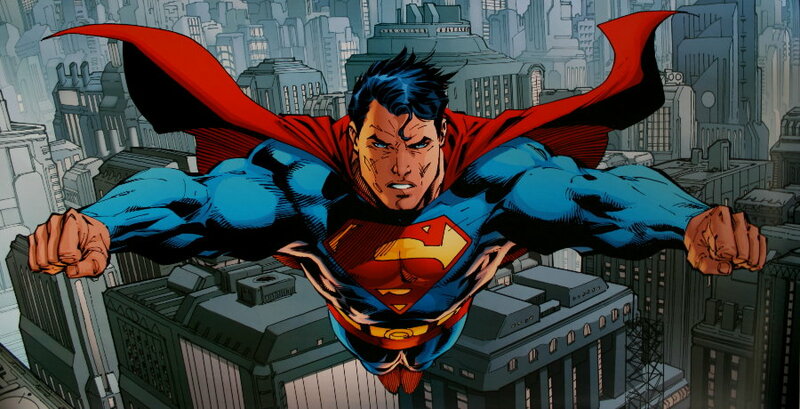 On January 21, 1972, DC Comics declared Metropolis, Illinois as the "Hometown of Superman". 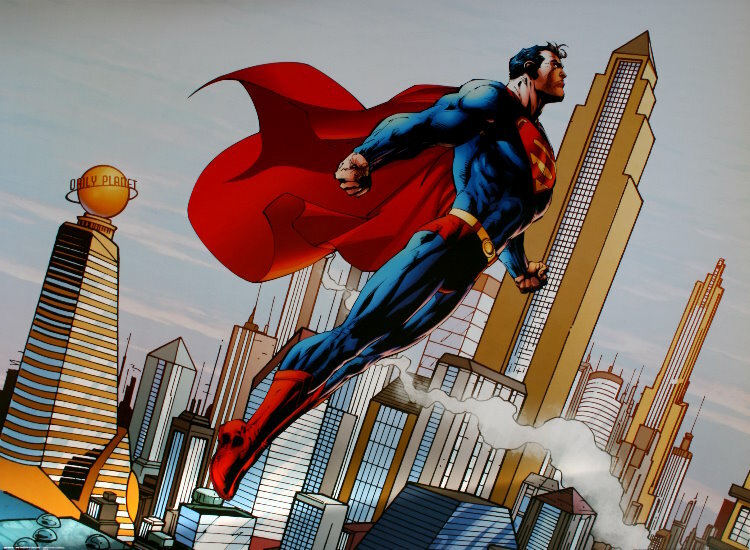 The Illinois State Legislature passed Resolution 572 declaring Metropolis as the Hometown of Superman on June 9th, but this was cited as an honorarium and was not intended to reflect Metropolis' location within DC continuity. In the Atlas of the DC Universe, writer Paul Kupperberg chose the state of Delaware, but this book was part of Mayfair Games' role playing games, and not necessarily in continuity. 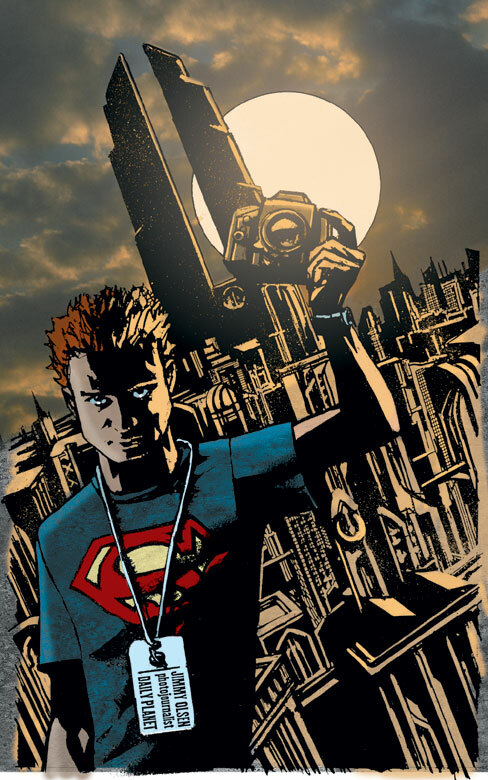 In Countdown to Infinite Crisis, Metropolis was listed as in New York, but the exact location has not been established. In the WB/CW television series Smallville, Metropolis is located in or near the state of Kansas, within driving distance of Smallville. This was likely established so that characters from the show could travel back and forth between the two cities in a timely manner and with little difficulty. Superman co-creator Joe Shuster modeled the look of Metropolis after his home town of Toronto, Ontario, Canada (though Metropolis was never depicted as a Canadian city).